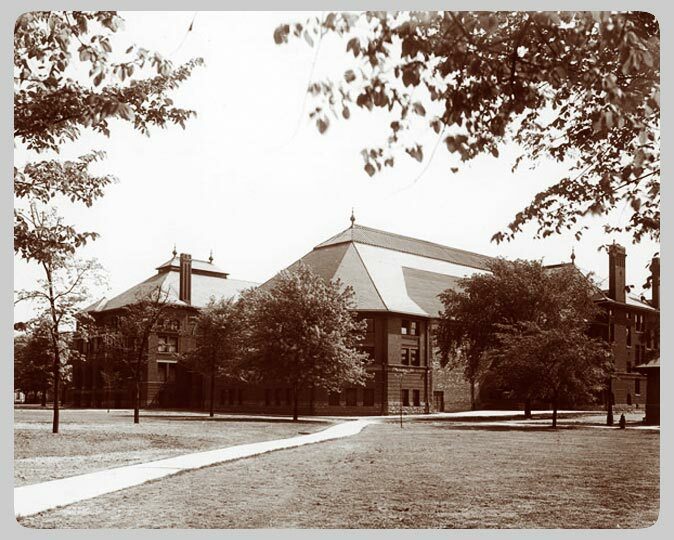 During the formative years of the University of Michigan Taekwondo Club, training was conducted at Waterman (right) and Barbour (left) gymnasiums (above). 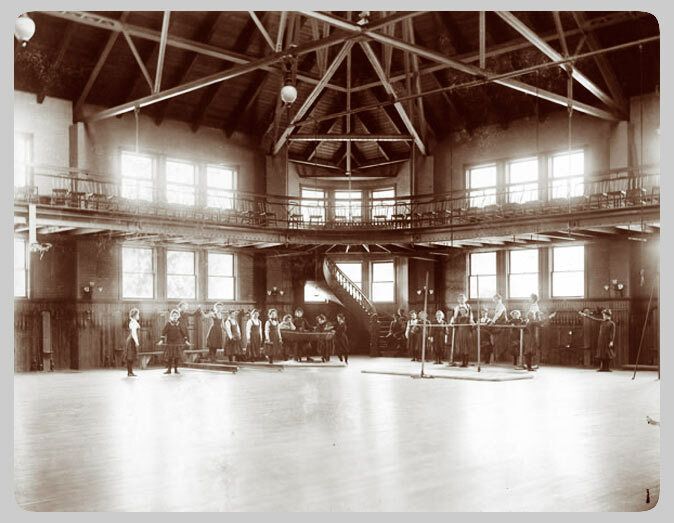 The cavernous interior of Waterman Gym (below) provided ample space for a hundred or more members to train. The building had a total floor area of 57,000 square feet with a balcony track of ten laps to the mile. Barbour Gymnasium, where U-Michgan Taekwondo classes and Club activities were often conducted for men and women in the late 1960's and 1970s. 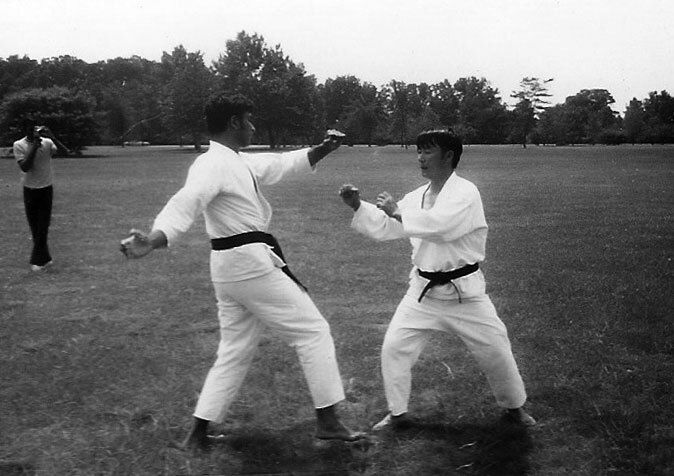 Master Saleem Jehangir (foreground at left) training with Grandmaster Chong sometime in the early 1970s. The University of Michigan Taekwondo Club was founded by James G. Young in 1964. Mr. Young began training in 1959 in the Korean martial arts style known as Tang Soo Do under the instruction of Dale Droulliard. During his military service in Korea, Mr. Droulliard was the first American to be trained in this style and, similarly, was the first to open a Club in the Detroit area. As a 2nd Dan, Mr. Young founded the U-M Club so he could continue training and to share this relatively new martial art. The Club grew in membership and plans were made for continuation of the Club after Mr. Young’s graduation. In 1968, Professor Ergun Ar, who was not only a Club member, but also the Club’s faculty advisor, located a number of instructors from various Korean styles. This was a time prior to the “unification” of various Korean styles into modern day Taekwondo. Mr. Young, Dr. Ar and senior Club members “interviewed” prospective	instructors and also watched them train and compete. At this time, prominent Club members included Terry Goebel, Ed Beal, Joe Lloyd and Jack Hoyt. After considering skill level, technique and the intangible qualities of leadership and strength of character that martial arts training is supposed to foster, a unanimous decision was made to ask a young 5th dan named Hwa Chong to be the primary instructor at the Club. A student of Kang Duk Won founder Park Chul Hee and a former all-Korea sparring champion, Master Chong was in a master's program at Michigan State University. After agreeing to teach at the Club, Mr. Chong showed his dedication by driving from Lansing twice a week while school was in session. Mr. Young elected to attend the University of Michigan law school and from 1968 to 1971 continued to learn from and work with Master Chong. 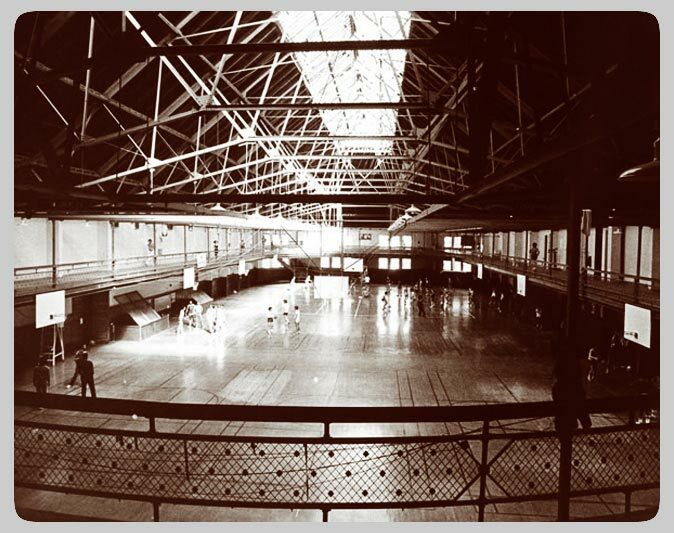 By 1970, the Club had almost a hundred members and worked out in Waterman Gymnasium. During summers, Club members would drive to Lansing to train with Master Chong (as he was finishing has master's degree in economics). The Club actively participated in martial arts competitions throughout the Midwest. Following his graduation from MSU, Master Chong took a job with General Motors and moved to the Detroit area, where he opened up a school. At this time, the Club was struggling with workout space. There was an old bowling alley in the Women’s Athletic Building. Jack Hoyt received permission to renovate this space for the Club. Club members refinished the floor and installed mirrors. This became the Club’s workout room for several years. When the women’s gym was scheduled for demolition to make way for the CCRB, University officials sought out the Club for help with the design of a martial arts room. Upon completion, Club had first choice of workout times, allowing other groups to use the room when they did not need it. This is why one can only find plaques from the Taekwondo Club on the walls. Shortly after the opening of the CCRB in the mid 1970s, Dr. Rodney Grambeau asked Master Chong if he would teach a Physical Education class. This eventually evolved into the Kinesiology/U-Move class. At that point, Club reached the structure we see today, with Master Chong teaching the class, and his senior students leading the Club. Key Club members during these formative years included Joe Lloyd, Saleem Jehangir, Dr. Dennis Burke, Patrick Harrigan, Dr. Harvey Slaughter, Randy Hall, Don Peterson, Jackie Adler, Donna Valerie, Dr. Mahommed (Cubby) Khazaeli, Lonnie Odom, Cliff Price, Greg Gorrin, and Jim Wigginton. 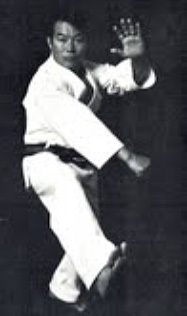 Saleem Jehangir would go on to found the Tae Kwon Do School at the National Sports Training & Coaching Center (NSTCC) in Karachi and The Taekwondo Karate Association of Pakistan in 1971. Master Jehangir has continued to be one of the leaders of Taekwondo in Pakistan for many years, even up to the present day.